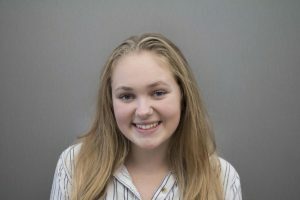 Holly Rusch is Politics Editor and a second-year journalism student. She is grateful for the opportunities that journalism has brought her, both to meet new people and to expand both on her writing and broadcast skills. Last year, her live coverage of the March for Our Lives won 1st place from the Journalism Education Association of Northern California for digital media live coverage. In the future, she hopes to study Journalism, Political Science or English. She's exited to share her love of journalism with her peers, and wants her articles to engage and interest the Woodside community.